Following on from Zen Summer in 2015 and 2013s Comfort Songs, Cloud’s Plays With Fire moves Tyler Taormina’s sound firmly into the assured category. Where his debut was weighed down with a little too much padding, Plays With Fire takes a somewhat sprightlier turn into sadness, reducing the runtime by thirty minutes yet still packing a hefty emotional punch. Taormina’s strength lies in melancholy and simplicity and Plays With Fire is a succinct journey into the darkness. “Disenchanted” is dedicated to finding answers to life’s questions – “would you love me if I stole?” Tyler asks his mother – and there’s a sense that this is someone constantly seeking reassurance, happiness, love. It’s something we all strive for, in the end, yet Cloud makes it all so bittersweet with peppy guitars belying the fear beneath. A similar sunny vibe appears on "Two Hands Bound," a song seemingly bright and happy on the outside but delve into the lyrics and you'll find a shadow of doubt as to the peace of mind of the narrator. “Me, Her Lavender” is a woozy, dreamlike ode to growing up and losing the holds on life while “Oh, So Juvenile” is a gorgeously downbeat treatise on needing somebody and the way it makes you feel like a teenager again. 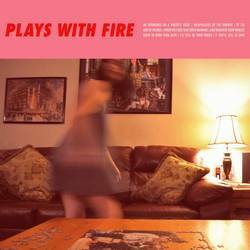 Plays With Fire is a deliciously gloomy record that uses contrasting upbeat textures to give a false glimmer of hope in the memories of long-lost friends, loves and dreams. Cloud is adept at weaving those threads and the regret of the passage of time is all too clear on his third album. Posted March 26, 2018, 9:57 p.m.